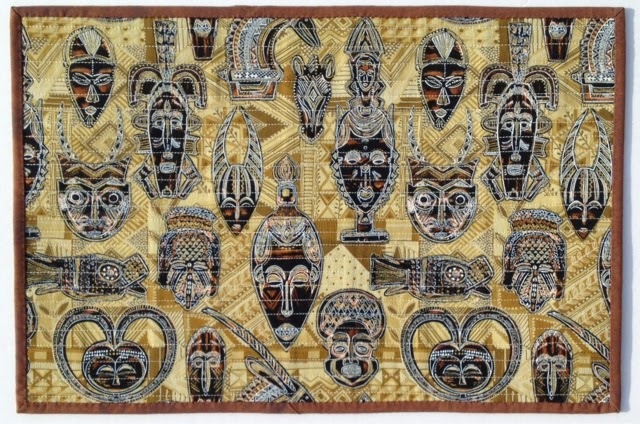 This is a project for the Nanaimo Quilters' Guild. They collect placemats & donate them to Meals on Wheels. The Guild provided the batting - an Ultra Thin Poly. It was lovely to use. 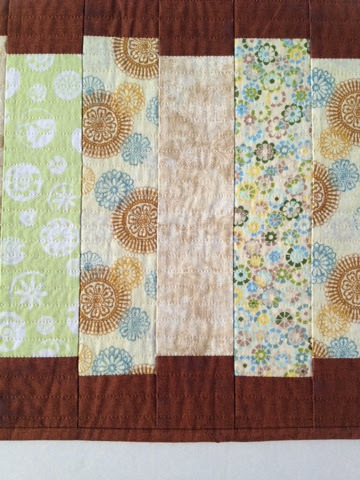 I used five assorted fat quarters for the centres and a brown Moda Grunge Basicgrey by Moda, Pattern #30150 for the background & binding. 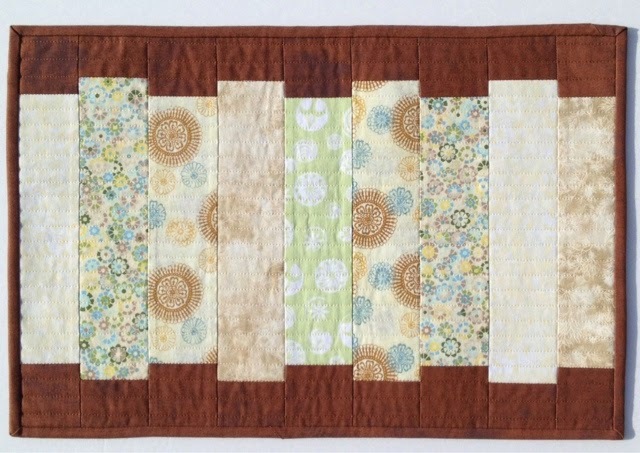 The five fat quarters was enough for six placemats with some smaller scraps for another project. 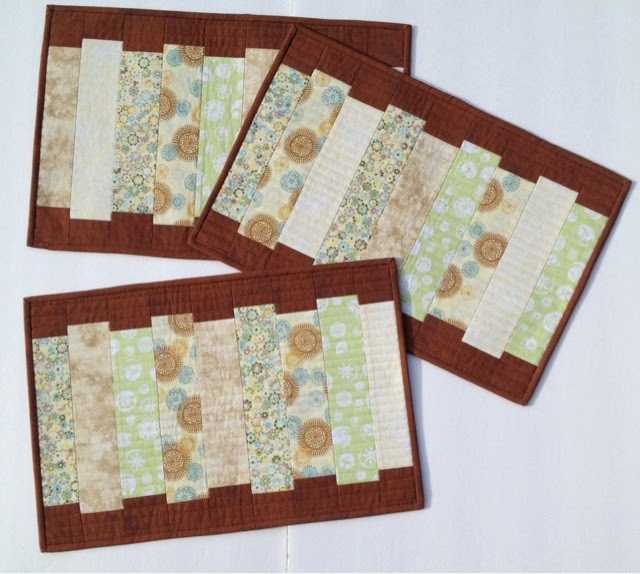 It's a little hard to see in the photos but I quilted the placemats with horizontal lines approximately 0.5" apart. One of the requests from the placemat committee is that we use an interesting fabric on the back so I chose this print from Shamah & Sons, Patt#5015M. I have three finished & three waiting for more batting when Guild starts back up in September.